Do you love smoothies, and do you think they are best for your diet? This is not always the case, sometimes they are incredibly rich in calories, so much that they can be compared to 4 portions of ice cream. Here are the ingredients to prepare a healthy smoothie. Have you always believed that instead of sparkling drinks or Coca-Cola it is healthier to consume a fruit or vegetable smoothie? 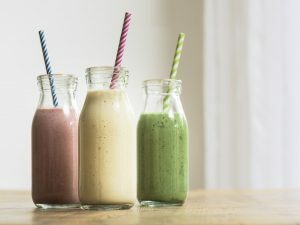 Although it may seem the best choice, because a smoothie contains ingredients recommended by all nutritionists, it actually puts your figure at risk. In some cases, smoothies are real calorie bombs, since they are equivalent to 4 portions of ice cream. Paula Norris is a famous Australian nutritionist especially followed on social media, where she gives a lot of nutrition advice to stay fit and healthy. It has more than 68,000 followers and there are many people who trust their tips. 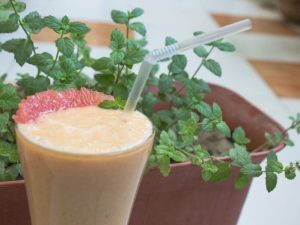 He recently left everyone speechless after revealing that homemade fruit and vegetable smoothies are not as healthy and dietary as one might think. The reason? They not only contain hidden sugars, but they also have a high amount of calories, so much that they can be compared to 4 ice cream cones consumed in a few hours. The secret is not to overdo and arrange the ingredients of the smoothie on a plate, wondering: can I really eat them all at once? In fact, not every smoothie is super caloric, the important thing is to choose the right ingredients. A smoothie must contain milk or yogurt, a source of protein, but also walnuts or chia seeds, which are considered "good" fats. Moreover, you need to choose one fruit at a time and do not remove the peel because it contains the largest amount of fiber. In short, in some cases, even when you believe you are consuming a healthy product you risk ruining your figure, and with the summer approaching nobody wants this "nightmare" to turn into reality, right? Colourful smoothie bowls: too cool to eat!